It's Beginning to Look a lot like Frostval! It's that most wonderful time of the year... almost! Once the Harvest Festival is over, Lore takes a few (a VERY few) days off to relax before the next awesome holiday! 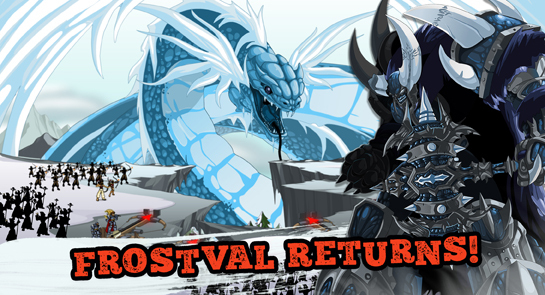 What is in store for us this Frostval? Will Twig cause something to go crazy... again? Who knows what is in store for you this year - but you know for sure that there will be epic gear, fantastic items and a CRAZY story!